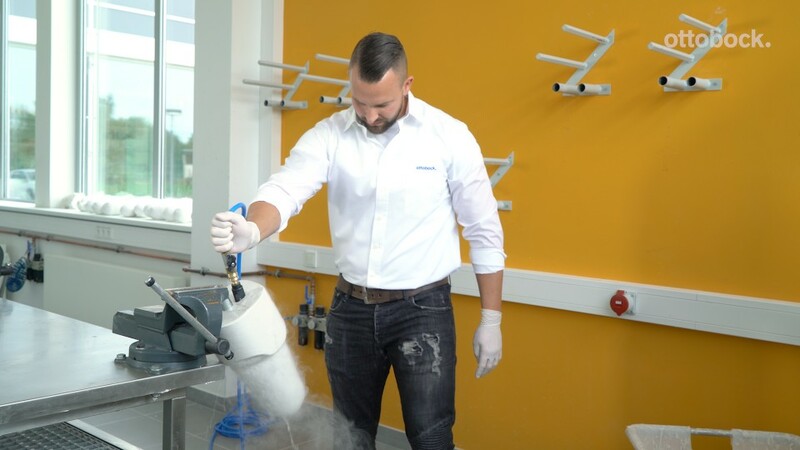 Ottobock’s sets for drying plaster with compressed air help you save valuable time when drying plaster models. 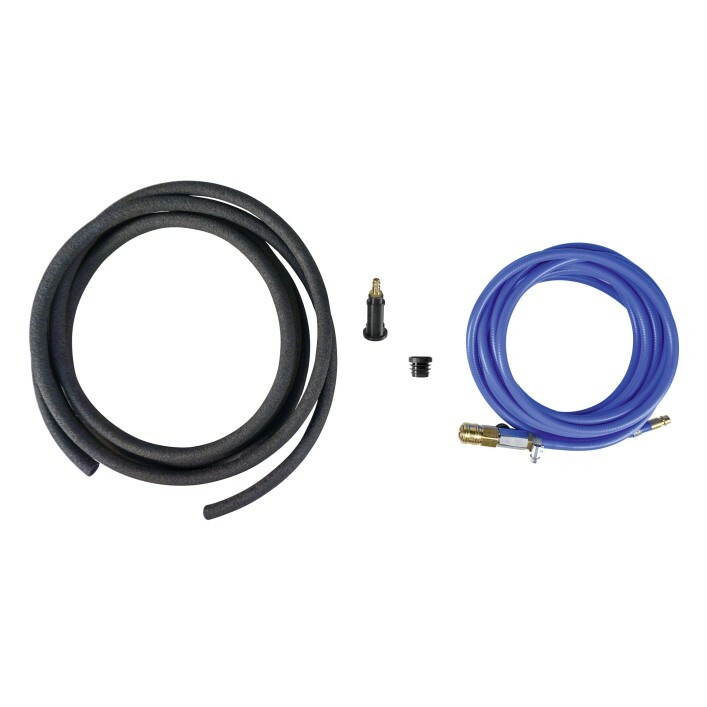 This technique involves a 5-m-long porous hose and a compressed air hose with a ball valve, quick couplings and five heatresistant adapters. The hose is cut to the appropriate length to fit the plaster model and embedded in the plaster model with the compressed air adapter. 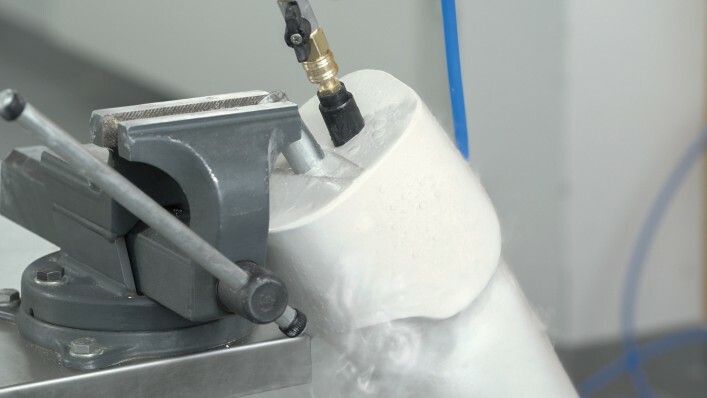 When compressed air flows into the hose via the ball valve, the porous structure of the hose distributes the compressed air evenly in the plaster. This lets excess water flow out of the plaster in a controlled manner without causing cracks in the plaster. This process can significantly reduce the time required for drying a plaster model. The components are heatresistant to 130 °C, which means the plaster model can later be used in the Ottobock plaster drying oven or Ottobock convection and prepreg ovens for further drying and for processing carbon and prepreg materials. To be used for For drying plaster (porous plaster, alabaster plaster). Compressed air presses most of the excess water out of the plaster without damaging the plaster model. The drying time can be reduced considerably as a result.